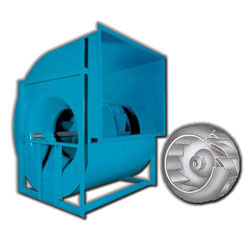 Aerovent Fans and Blowers Manufacturing are composed of men and team that has 35 years of experience in field of Ventilation specializing in fabrication of Industrial Fans and Industrial Blower. With its registration in Department of Trade and Industry on January 2014 with an office and factory operating in an area of 1600 square meter in the Industrial zone in San Pedro, Laguna. 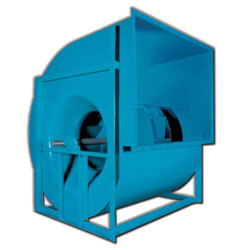 We can say that the “name”Aerovent Fans and Blowers Manufacturing are new to the market and industry but the people behind the name has vast experience in Engineering, supply, sales and installation of Industrial Fans and Blowers and Air Moving Equipments. Aerovent Fans and Blowers Manufacturing made its presence known in the industry through successful completion of several projects. With our primary goal to provide our client with fast, quality and affordable product and services. We take great pride in offering well-engineered products at affordable and competitive prices, timely delivery and efficient service. Each of our product is inspected and supervised to ensure that we follow strict industry standards. Fan propeller and impeller is statically balanced and/or dynamically balanced and inspected under strict standards using high-technology balancing equipment to ensure maximum performance and long service life. 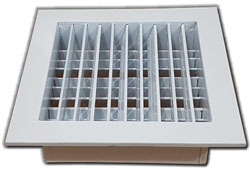 Commonly used for supply, air grille directs the air using its adjustable blades in a horizontal, as well as vertical direction. It is designed for air supply and air extract. With one or two rows of adjustable blades. 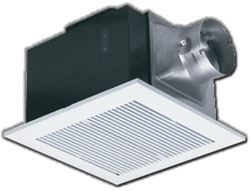 For a balanced distribution of air through the entire diffusion grille it is recommended to use a damper or a plenum box. It is adequate for usage in such premises that require a higher emphasis on appearance. Single Deflection Air Grille is a single row of blades that can be adjusted in two directions while Double Deflection Air Grille is double row of blades that can be adjusted in four directions. Available in square, rectangular or round design. Can be made of Galvanized Iron, Aluminum, Stainless Steel. Cabinet Duct Blower are specifically designed for duct applications handling relatively clean air, including supply, exhaust and return air systems. These fans offer high efficiency and quiet operation in a compact design that can be mounted in bottom horizontal or top horizontal positions. Duct collars are provided for easy mounting connections. The units can be easily serviced through access panels without removing duct connections. Duct blowers feature forward curved centrifugal wheels which produce high air volumes at low speeds. All wheels are statically and dynamically balanced. Made of Galvanized Iron and available in different sizes, the Ceiling Diffuser is the visible part of the air conditioning system that is mounted in the ceiling of a residential or commercial building. 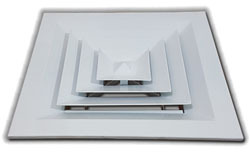 With a 360° air diffusion pattern, this multi-louver model evenly distributes air flow throughout the room and includes an optional damper for directional purposes, as well as 4 screw holes for mounting / installation. Available in square, rectangular or round. Can be 3 way or 4 way for square or rectangular design. Airfoil blade offer higher efficiencies and better sound characteristics compare to Backward Curved/Backward Incline and Forward Curved. 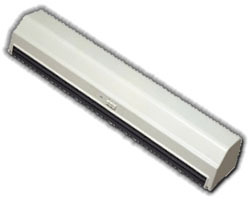 A popular choice for the efficient handling of large volumes of relatively clean air at low to moderate pressures in applications such as HVAC (heating, ventilating and air conditioning), combustion air supply, filtration and drying systems, fume hood and spray booth and other exhaust systems, air pollution control (clean side of dust collectors) and Industrial processes. Wheels can be made of Steel, Stainless Steel, Aluminum or Fiberglass. May be direct driven or belt driven. Can also be made as cabinet blower. Performance Airflow to 277,500 CFM Static pressure to 20″w.g. Airfoil blade offer higher efficiencies and better sound characteristics compare to Backward Curved/Backward Incline and Forward Curved. 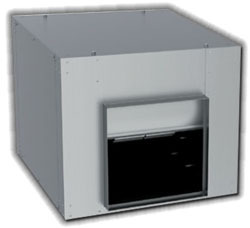 A popular choice for the efficient handling of large volumes of relatively clean air at low to moderate pressures in applications such as HVAC (heating, ventilating and air conditioning), combustion air supply, filtration and drying systems, fume hood and spray booth and other exhaust systems, air pollution control (clean side of dust collectors) and Industrial processes. Wheels can be made of Steel, Stainless Steel, Aluminum or Fiberglass. May be couple drive or belt driven. A DIDW gives the same pressure rise but double the flow of a (SISW) single inlet single width fan. Can also be made as cabinet blower. Performance Airflow to 344,000 CFM Static pressure to 14″w.g. 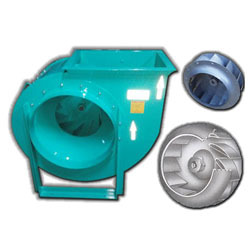 Double Inlet Double Width Centrifugal Blower Backward Curved are non-overloading centrifugal fans. A popular choice for the efficient handling of large volumes of relatively clean air at low to moderate pressures in applications such as HVAC (heating, ventilating and air conditioning), combustion air supply, filtration and drying systems, fume hood and spray booth and other exhaust systems, air pollution control (clean side of dust collectors) and Industrial processes. Wheels can be made of Steel, Stainless Steel, Aluminum or Fiberglass. May be couple driven or belt driven. A DIDW gives the same pressure rise but double the flow of an (SISW) single inlet single width fan. Can also be made as cabinet blower. Performance Airflow to 344,300 CFM Static pressure to 14″w.g. 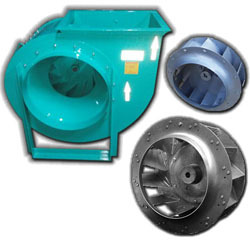 Double Inlet Double Width Centrifugal Blower Forward-curved blades are especially sensitive to particulates. Provide a low noise level and relatively small air flow with a high increase in static pressure. Forward-curved fan blades curve into the direction of wheel rotation, producing an air velocity at the blade tip which is actually greater than the tip velocity itself. This effectively means that a forward curved fan can move air at greater velocities while requiring less rotational speed than other fan types. Forward curved fans are the most commonly used wheel type in HVAC equipment. Forward curved fans are typically used in low-pressure applications (under 5.0 in. wg), since they can satisfy airflow requirements at lower rotational speeds (typically 800 to 1200 rpm). As a result of lower operating pressures, the design of the forward-curved fan is usually lightweight when compared to other fans. Applications are air filtration, spray containment, fume control, inflatable products, low profile air handling units, attenuated fan boxes, solarium equipment, conveyor cooling, electronic enclosure ventilation. Wheels can be made of Steel, Stainless Steel, Aluminum or Fiberglass. May be couple driven or belt driven. A DIDW gives the same pressure rise but double the flow of a (SISW) single inlet single width fan. Can also be made as cabinet blower. Performance Airflow to 110,000 CFM Static pressure to 8″ w.g. 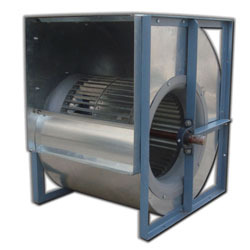 Centrifugal Blower Forward-curved blades are especially sensitive to particulates. Provide a low noise level and relatively small air flow with a high increase in static pressure. Forward-curved fan blades curve into the direction of wheel rotation, producing an air velocity at the blade tip which is actually greater than the tip velocity itself. This effectively means that a forward curved fan can move air at greater velocities while requiring less rotational speed than other fan types. Forward curved fans are the most commonly used wheel type in HVAC equipment. Forward curved fans are typically used in low-pressure applications (under 5.0 in. wg), since they can satisfy airflow requirements at lower rotational speeds (typically 800 to 1200 rpm). As a result of lower operating pressures, the design of the forward-curved fan is usually lightweight when compared to other fans. Applications are air filtration, spray containment, fume control, inflatable products, low profile air handling units, attenuated fan boxes, solarium equipment, conveyor cooling, electronic enclosure ventilation. Wheels can be made of Steel, Stainless Steel, Aluminum or Fiberglass. May be direct driven or belt driven. Can also be made as cabinet blower. Performance Airflow to 22,000 CFM Static pressure to 3″w.g. 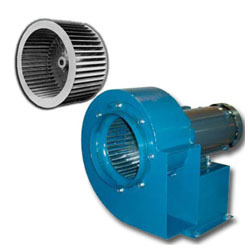 Centrifugal Blower Backward Curved/Backward Inclined SWSI (Single Width, Single Inlet). Backward Curved are non-overloading centrifugal fans in SWSI (single width, single inlet). 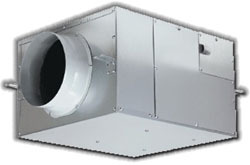 A popular choice for the efficient handling of large volumes of relatively clean air at low to moderate pressures in applications such as HVAC (heating, ventilating and air conditioning), combustion air supply, filtration and drying systems, fume hood and spray booth and other exhaust systems, air pollution control (clean side of dust collectors) and Industrial processes. Wheels can be made of Steel, Stainless Steel, Aluminum or Fiberglass. May be direct driven or belt driven. Can also be made as cabinet blower. Dynamic balancing is the practice of spinning an object at a high rate of speed and adjusting the balance or removing the vibration by subtracting or adding weight. This is the most common method of balancing a drive shaft, an engine crankshaft or an automobile tire. Once the object has been brought up to a predetermined speed, a computer reads the material that the dynamic balancing machine‘s on-board sensors provide. The recommended amount of weight to counter-balance a heavy or light spot is then added or removed from the item being balanced. Belt alignment or pulley alignment is an important maintenance task. When carried out correctly, it can prevent breakdowns and save considerable costs. Belt alignment and pulley alignment are synonymous, as the process of belt alignment hinges on the correct alignment of the pulleys on which the belt runs. For the sake of clarity, however, we will speak of belt alignment. Belt alignment concerns aligning the belts in a manner that results in the least wear on the belts and lowest energy loss for the machine or driver unit. In practice this means that the grooves of the pulleys are in line with one another. Shaft alignment is the positioning of the rotational centers of two or more shafts such that they are co-linear when the machines are under normal operating conditions. Proper shaft alignment is not dictated by the total indicator reading (TIR) of the coupling hubs or the shafts, but rather by the proper centers of rotation of the shaft supporting members (the machine bearings). All electrical installations and equipment comply with insulation resistance specifications so they can operate safely. Whether it involves the connection cables, the sectioning and protection equipment, or the motors and generators, the electrical conductors are insulated using materials with high electrical resistance in order to limit, as much as possible, the flow of current outside the conductors. The quality of these insulating materials changes over time due to the stresses affecting the equipment. These changes reduce the electrical resistivity of the insulating materials, thus increasing leakage currents that lead to incidents which may be serious in terms of both safety (people and property) and the costs of production stoppages. In addition to the measurements carried out on new and reconditioned equipment during commissioning, regular insulation testing on installations and equipment helps to avoid such incidents through preventive maintenance. These tests detect aging and premature deterioration of the insulating properties before they reach a level likely to cause the incidents described above.